The past year has yielded another outstanding and helpful store of books for creative business leaders. 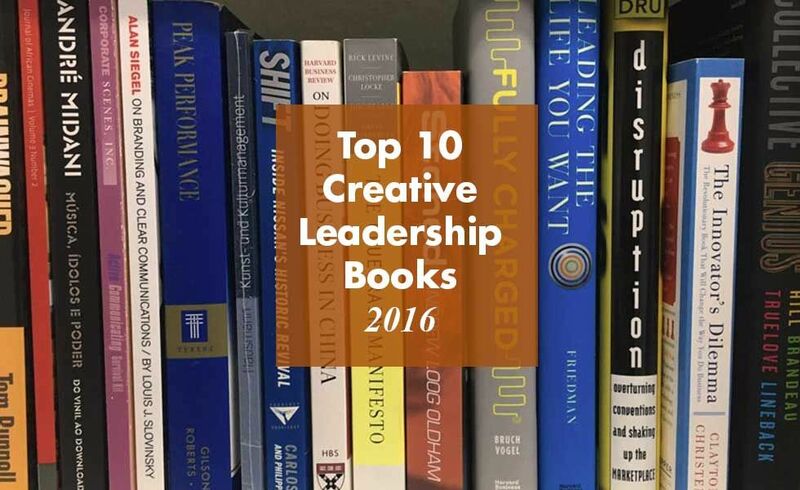 Here are the Creative Leadership Book of the Year and the rest of the 2016 Top 10. Also below are sixteen further titles published this year that will valuably reward leaders’ time and attention. The Wharton School professor and author of Give and Take: Why Helping Others Drives Our Success has written an inspiring new book on empowering creativity and effecting meaningful change. Accessing current research and using examples from across business, sports and entertainment, he offers a useful and accessible account of how to recognize and champion good ideas, manage fear and doubt, overcome groupthink, and actually improve the world. An accessible guide to greater success in our thoroughly connected world from the award-winning Harvard Business School professor. Using examples like Tencent, The New York Times, and The Economist, Anand argues that value in business today comes not from making the best content but discovering and enabling customers’ choice-making and connectivity to others. Despite the increasing priority in business and society to achieve greater gender equality, unconscious and institutional bias continues to stifle much meaningful change. A Harvard behavioral economist moves beyond commonplace diversity training of individuals to offer a compelling new approach to improving lives and performance by de-biasing organizations. Based on more than 200 interviews, the director of the Tuck School’s Center for Leadership and author of Why Smart Executives Fail identifies how ‘superbosses’ from across industries recruit and inspire great teams and organizations. The resulting book describes a host of practical if often counter-intuitive steps, like creating competitive cohorts and continuing to work with former employees, that build better performance and strengthen networks. The Rotman School of Management professor and author of Parentonomics provides a much-needed and thoughtful take on one the central buzzwords of contemporary business. Starting with Clayton Christensen’s defining formulation from the mid-1990s, Gans’ examination of company innovation and performance yields a new, two-part approach to ‘supply-side’ and ‘demand-side’ disruption that leaders can use to shape their strategies today. An important historical study that shows that a wide a range of unrepeatable technological, economic and social transformations drove an exceptional rise in prosperity between 1870 and 1970. It also argues that the narrower recent developments in communications and information technologies, albeit dazzling, have not had — and will not have — a comparable effect on prosperity. Today’s techno-optimists should beware: their enthusiasm is rooted in ignorance of the relevant past. What are the roots of happy and compassionate individuals, strong social bonds, and altruistic behavior? The Founding Director of the Greater Good Science Center at UC Berkeley, author of Born to be Good, and a key advisor to the Pixar filmmakers of Inside Out, offers a compelling research-based argument for greater collaboration, influence and finally meaning in leadership and life. Based on a nearly ten-year study, this tour-de-force read identifies how digital networks, technology platforms and network-based business models are affecting all industries today. Three Wharton School researchers lay out the key principles shaping these successful ‘network orchestrators’ and also offer a clear five-step process for leaders of organizations wanting to transform their own business models. A leading innovation thinker, and Distinguished Fellow at Johns Hopkins, draws on his experiences visiting startups in 41 countries to identify the next big ideas in business, including robotics, cybersecurity, big data, genomics, and financial technologies. An essential read for creative leaders working to re-invent their own industries or help build new ones amidst sweeping global economic and social change. A wide-ranging and rigorous assessment of the varied forces that are increasingly supplanting traditional corporate-centered capitalism and re-organizing economic activity. 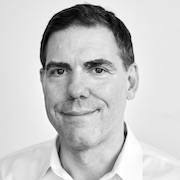 The NYU Stern school professor uses examples from around the world, from Etsy and Uber to Didi Kuaidi and Ola, to explore the complex economic, political and social issues in play in the far-reaching transitions of work, organizations, and economies.